to provide peace of mind. With gorgeous views inside and out, you’ll get a whole new outlook on retirement at Lake Park. A spectacular setting. Retirement living the way it was meant to be. This is the kind of place people dream of living in. 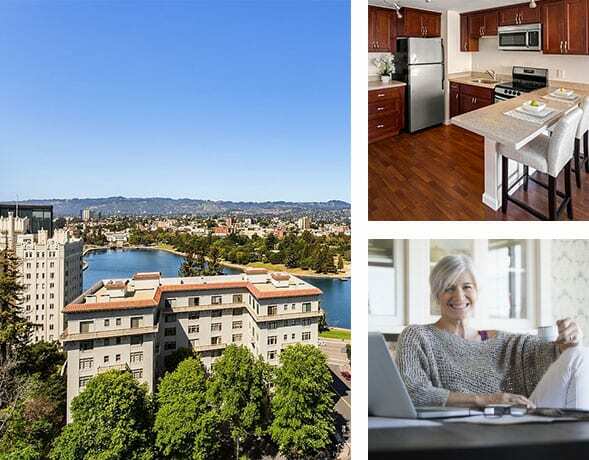 Here, a diverse collection of extraordinary residents enjoys a culturally rich lifestyle, making Lake Park an Oakland full service retirement community that is truly like no other. This spectacular setting is matched with the highest caliber of care. Our resident-focused staff is all about caring and service, and many members of our team have been with us for years, creating a true sense of family. With views of the water and views of the city, Lake Park offers a whole new viewpoint on how rich life can be. 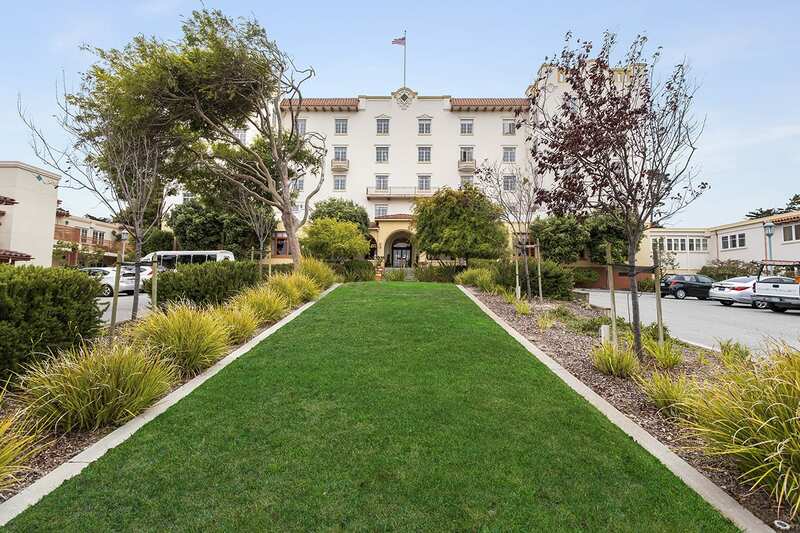 We offer a variety of living options including studios, one- and two-bedroom apartments at our Oakland retirement community. Some of our recent renovations include modern touches and appliances. Find the perfect floor plan for your future home below. You can have it all at our California Continuing Care Retirement Community: breathtaking views, an abundance of natural light, fitness programs, great food and exciting events through The Active Living Center. Discover the amenities we provide at Lake Park. All are encouraged to take advantage of the variety of recreational, social, educational, cultural and spiritual activities available here at Lake Park. Take a glimpse into our community’s recent renovations and these extensive services by viewing our photo gallery. As you evaluate senior living options in the Oakland area, we invite you to explore Lake Park’s continuum of care, including independent living, assisted living and skilled nursing. Our Medicare-certified Health Center and staff sets us apart from other California CCRCs. We hope you’ve had a positive experience with the level of service offered by Lake Park Retirement. Please take a moment to leave a review by completing the form below. Your comments are important to us!